If your wooden floor has seen better days, don't be quick to replace the floorboards just yet. At Fantastic Handyman, we have the know-how and the gear to perform a smooth floor sanding service that will bring back the natural beauty of any wooden floor. The skilled hardwood sanders will gladly help you refresh the flooring of both commercial (schools, offices, art galleries) and domestic properties alike. Each hardwood floor sanding session, regardless if it includes sanding of old wood floors or parquet flooring restoration, will always be tailored around your individual preferences as closely as possible to achieve that “wow” effect you seek. The handymen’s efficient sanding & dusting equipment and modern sanding techniques will also ensure that you will always be left with a polished, debris-free flooring. How to Improve your property’s appearance in no time? When done right, a professional floorboard sanding and polishing session will improve the natural colours and finish of your flooring to the point where it could easily be mistaken for an expensive hardwood or parquet. When the reliable and knowledgeable specialists enter your home or office, they will carry efficient dust collecting machines to erase all traces of sawdust from even the tiniest of board gaps. Once all refinishing and sanding procedures are done, your flooring will look, smell, and feel like new, successfully blending in with even the most avant-garde of home or office designs. How the experts get the sanding & restoring done? When sanding old floorboards, the precise team will always need to treat the top surface of your wooden floor first. As soon as the pros efficiently remove it with a hardwood floor edge sander, they will inspect the severity of the scratches underneath to determine the correct wood floors sanding depth. Once the experts put their sanding machines aside, they can either apply a protective layer of varnish on top or stain the boards in a colour of your choice. The knowledgeable specialists will also make sure to fill all gaps between your boards with either a resin or silver-based filling to improve your wooden flooring’s appearance and prolong its life for years to come. Quick and reliable wood flooring sanding results? Every floor sander at Fantastic Handyman has mastered the intricacies of their craft and will have no problem sanding and refinishing wood floors of any kind or age. In other words, the friendly professionals are more than able to restore hardwood floors, sand timber, or solid oak floors, and improve their lifespan and appearance by applying efficient wood floor oiling, waxing, and buffing techniques. 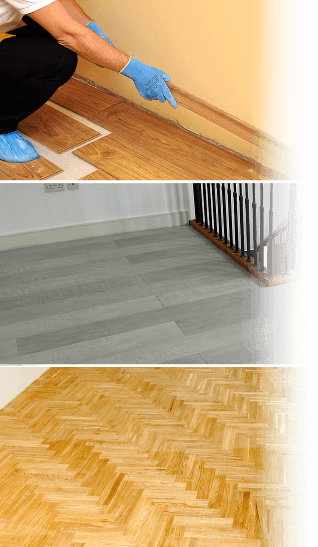 After each wooden flooring sanding and sealing session, the team will pick up any remaining debris and dispose of it in a safe and responsible manner, leaving your place nice and clean. Book your wood floor sanding session in a snap of your fingers. You can schedule any of our extensive wood floor sanding services via our website chat or online booking form. 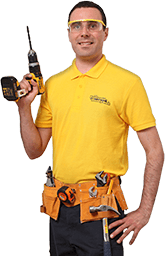 Alternatively, you can contact us with a quick call on 020 3404 4045. Make sure to share with us all details about your wooden floor sanding, hardwood flooring restoration, or any other type of flooring project and our 24/7 company representatives will assist you with everything they can to help you get the most out of your session. You can also download our free GoFantastic App to gain an instant access to a wide variety of sanding and other handy home/office improvements.